Our Worship & Creative Arts Department hosts seasonal art exhibits highlighting and celebrating Grace Center’s visual artists and their work. Join us as we partner with God in cultivating community around the arts and encouraging creativity within our community. 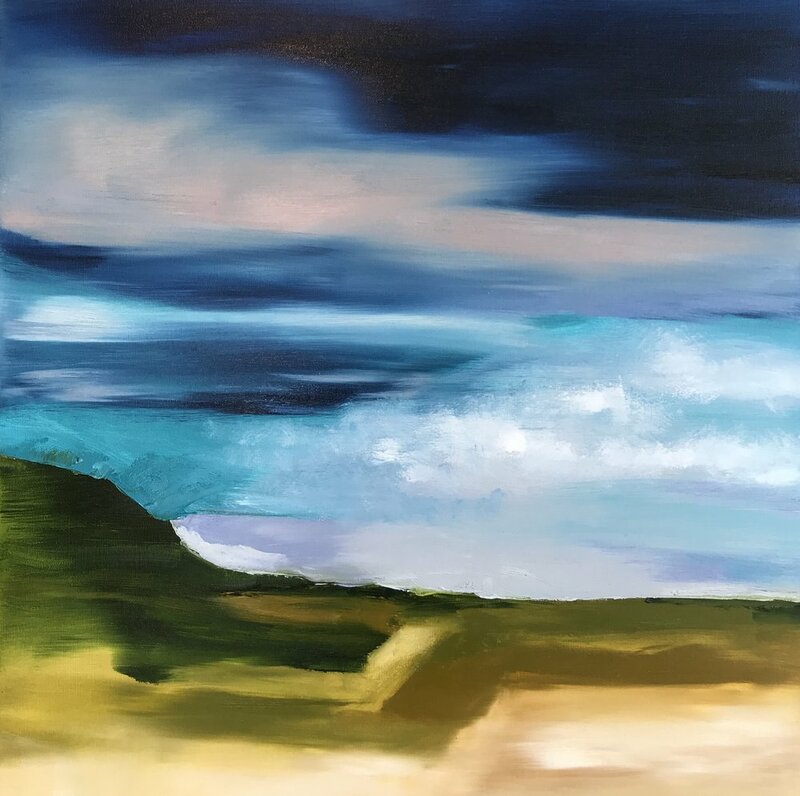 You are invited to view our upcoming exhibition, New Landscape, featuring our very own Worship & Creative Arts Pastor Sarah Parsons, which opens with a reception in Grace Cafe between services on April 14!. With the arrival of our first baby in January 2018, I moved my easel home to paint during nap times and free moments. A small painting corner in the spare room meant smaller canvases and smaller, more controlled brushstrokes, resulting in a more precise and detailed painting. Sarah Parsons is an abstract painter who creates vibrant compositions full of movement and feeling. She is heavily influenced and inspired by her environment, both in figurative and literal ways. Whether the inspiration comes from a private spiritual moment in her studio or the physical landscape outside her window—combined with her love for bold color combinations—Sarah's work aims to capture a feeling of being in a particular moment rather than a literal depiction of a scene. Created with her tools of choice, a palette knife and dry brush, Sarah's dream-like abstract works dramatically impact the spaces in which they hang. When Sarah is not painting, she's the Creative Arts Pastor at Grace Center where she meets with and encourages creatives to release their unique, God-given talents into a world that desperately needs what the Kingdom has to offer.